Oakville’s Rain Condominiums has released 12 new suite designs, and to boost its appeal, Empire Communities is also unveiling some exciting new incentives. From a 510-square-foot one-bedroom to an over 1,400-square-foot two-bedroom-plus-den, the stylish suite designs at Rain will accommodate a variety of lifestyles. Purchase one of these new suites and you can choose a specific deposit program and select a bonus package. You’ll also receive $10,000 cash back. These incentives are only being offered for a short time, so take advantage while you can. The striking glass building was designed by the award-winning Graziani + Corazza architectural firm. Consisting of two towers, 19 and 21 storeys, connected by a five storey podium each, suite will feature its own glass balcony or terrace, where residents can sip their morning coffee and take in the panoramic views of the city below. When you need to stretch your legs, you’ll appreciate the top-notch amenities housed inside the building. Boost your energy in the modern exercise room before relaxing poolside or jumping in the whirlpool. Feel like hosting a get together? Residents will have access to a large party room and rooftop terrace complete with a BBQ and seating area. You’re also a short stroll away from Oakville’s elegant downtown core that’s lined with high-end retail stores, grocery shops and dining locations, as well as easy access to GO Transit and major highways to take you anywhere you please. 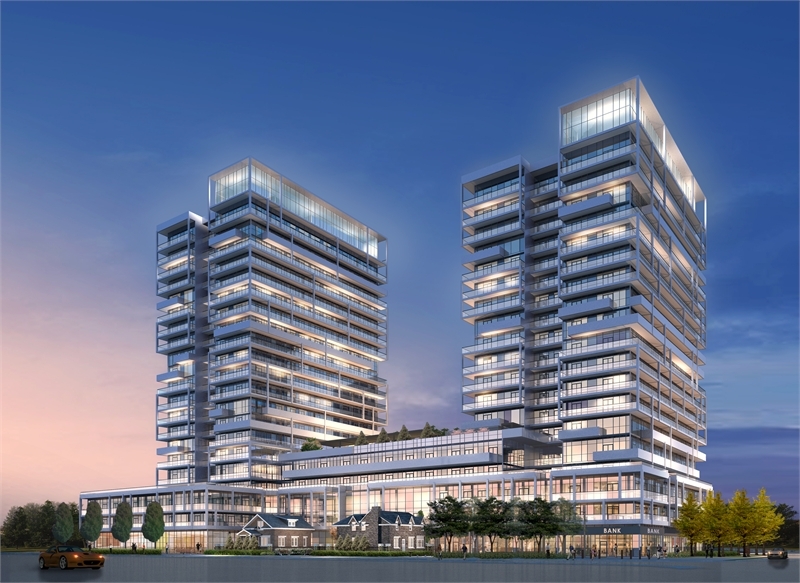 The two-tower development is currently under construction on the northeast corner of Kerr Street and Speers Road in the revitalized Kerr Village. In addition to the new suite designs, other available units start from the $200,000s. For more information call 905 845 7246 or email raincondos@empirecommunities.com. Follow Rain on Twitter and like the development on Facebook.